A couple of months ago, after much, much, much consideration, I finally dyed my hair. I’d wanted to since I was about 4 months natural and collected a whole bunch of boxes for when I finally decided to do the deed but fear always set in and I never did it. So when I finally did, I was relieved that my hair didn’t fall out as I rinsed it off. But I did do something a little bit uncharacteristic; I hadn’t done much research. At least, not as thorough as I usually do when I do something drastic to my hair. It’s been a few months now and I’ve been treating my hair pretty much the same as I had before I dyed it, which could be fine but I do know that coloured hair usually needs some special attention. After about a week of colouring it, Fro was feeling drier than usual and I noticed more knots up in there. Maybe that’s also because my hair’s getting longer but I know that just changing my shampoo and conditioner might not do much in terms of caring for my now coloured fro. And after having a terrible week of abandoning my hair last month, I realised I should do some reading. Here are some key points I found on my current go to hair site Black Girl with Long Hair as well as from Naturally Curly. Colouring your hair permanently causes the cuticle layer of your hair strand to become more porous. If your hair is already naturally porous, it’ll worsen by dyeing it which means your hair will retain little moisture and feel dry (me, case in point). Try and use a sulfate free shampoo and conditioner, or even better, look for ones that are specifically for coloured hair. This will help you retain the colour and also help in dryness. 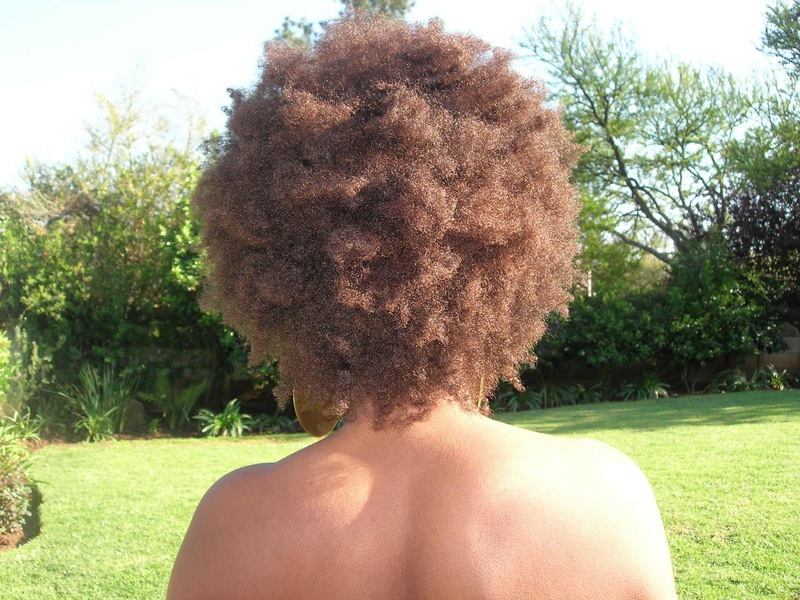 Because coloured hair is weaker than uncoloured hair, more care needs to be taken when handling it in terms of detangling, manipulation and styling. And of course, if you have any of your own tips, please share! Lol, not sure I can commit to that! where can i find henna? I can only guess in Indian beauty supply stores. I got my packs from Tanzania but maybe Welzi can enlighten us?